How To GOOW is a hilarious little guide for kids of all ages that will bring laughter to the whole family. Almost fifty pages long and filled with clever antidotal verbiage and full color drawings. This Field Guide was written to teach kids like us how to avoid the work that our pesky parents, grandparents, and/or guardians assign us. If you are lazy, or just hate work, then this is the guide for you. A hilarious little guide that will bring laughter to the whole family! How to Get Out of Work. Preferring to spend his time creating music, Philip has developed a multitude of useful excuses in order to get out of doing chores and any work around the house. 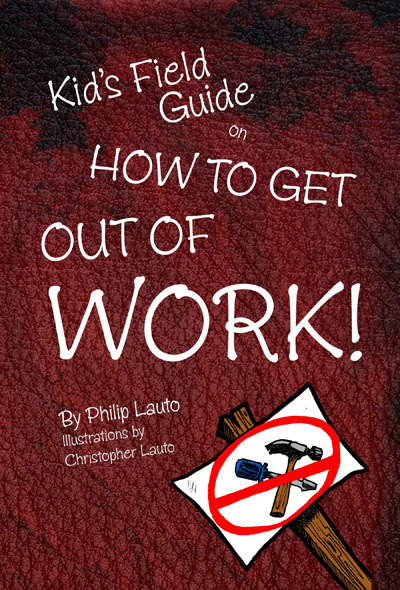 Some of these can be read in his first book, Kid's field Guide on How to Get Out of Work.